Polyurethane products are a natural fit for the mining industry, where heavy machinery and pulverizing physical forces are the norm. There is no gentle way to remove and sift through tons of geological material, and it’s the onsite machinery that receives the brunt of the wear and tear. Fortunately, polyurethane products can mitigate this wear and ensure that conveyors, hoppers and beds provide extended use before they need to be restored or replaced. How can polyurethane be purposed for the mining industry? Polyurethane sheets can be installed on various conveyors and holding vessels. 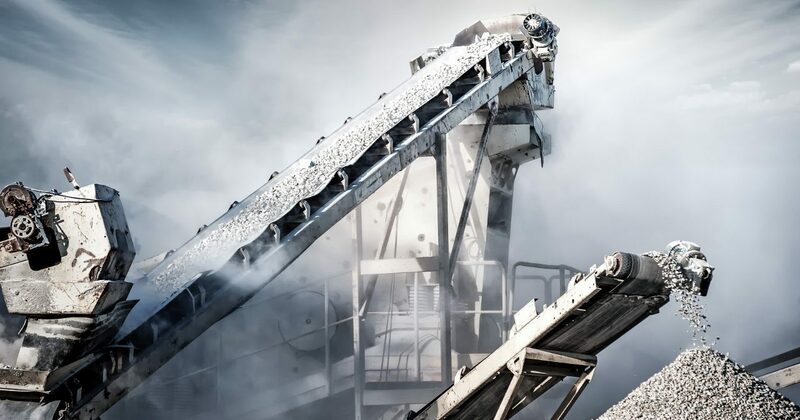 Bins, hoppers, belt conveyors, chutes, truck beds, flotation cells and other surfaces are responsible for handling and moving huge amounts of aggregate material in rapid fashion. This places a lot of pressure on the entire operation, and can cause machinery to wear down sooner. Polyurethane sheets can be used to line surfaces that are under constant punishment, resisting the wear and tear that the aggregate produces. Polyurethane impact bars are ideal for protecting belts from damage. Conveyor belting is essential to keeping everything moving along, but it is also susceptible to damage from tumbling aggregate. Impact bars shield the belting from harm while also providing a surface that the belt can slide across with minimal friction. Classifier shoes made from, or coated with, polyurethane can protect bulk aggregate handlers from impact damage as well. Classifier shoes are responsible for flipping and washing aggregate, so it is subjected to constant abrasive forces. Polyurethane is also resistant to corrosion and water damage, so it can withstand the washing process. It is also lightweight and stable at nearly any temperature, so it can be operated efficiently in any conditions. Polyurethane can be molded into or attached to modular screening systems for added protection. Modular screening systems are responsible for sorting through mining aggregate, and without protection, they have to be switched out regularly. Polyurethane screeners can handle aggregate sorting with ease, and they are much quieter than metal systems, which helps control operating noise levels. Also, polyurethane can be retrofitted onto existing screening systems easily, allowing for immediate use. Every mining operation is configured differently, which makes polyurethane’s versatility a major help. Polyurethane components can be molded to any size or shape, so they can be integrated into a comprehensive custom solution that ensures a perfect fit. No matter what type of aggregate a crew is processing, polyurethane can provide much needed support and protection.